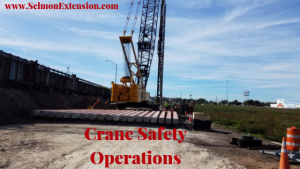 Operating a crane can be a high-risk activity on the Selmon Extension or any other construction project. Having a well-trained lift team can help mitigate, and possibly eliminate, some of the hazards associated with using cranes. A safe lift depends on a number of certified individuals filling roles including operators, riggers, signal persons, crane users, lift directors and site supervisors, and clear communication between these people is crucial to working safely.